A flake floor is probably the most durable in the epoxy flooring range and features a vapour barrier to promote permanent adhesion and protection from moisture related issues that can occur within the slab, a base coat of tinted 100% solids, solventless epoxy resin (self-levelling), the flake/stone layer, and coated with Industrial strength clear coats to provide gloss, scratch resistance, protection from UV, waterproof properties and slip resistance if required. 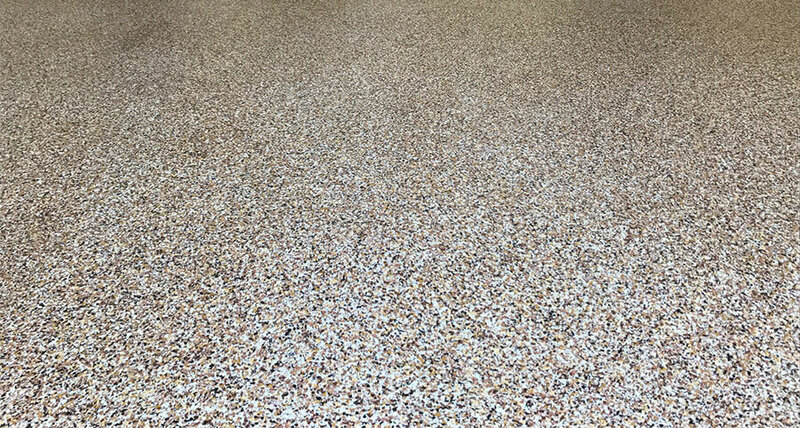 An epoxy flake flooring system is suitable for residential applications, retail, commercial kitchens, factories, and warehouse – more than capable of handling truck and forklift traffic. 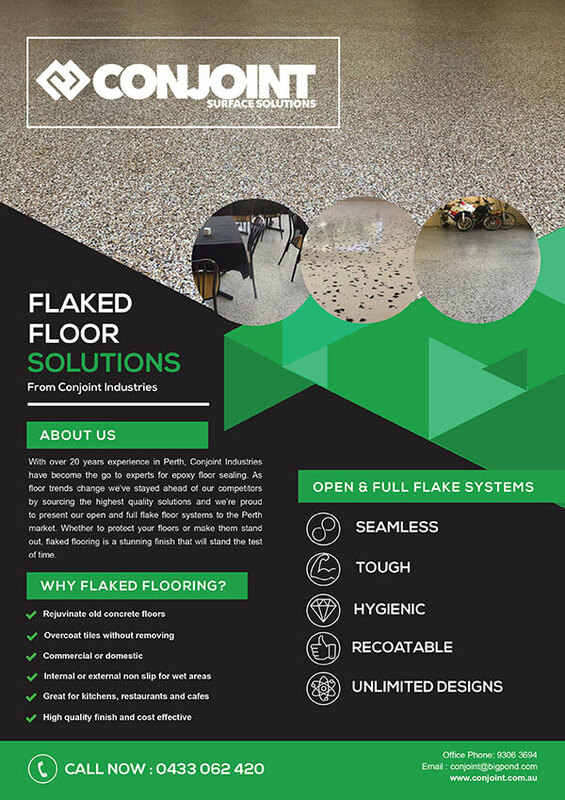 Flake floors are also suitable for external areas including driveways, car parks, verandas, showrooms, and much more.